JPMorgan says that Amazon's market value could eventually grow to more than $1 trillion. The firm says that Amazon is "investing in more major growth opportunities than any other company." The stock would have to surge 66% from current levels to achieve a 13-digit valuation. Amazon is already the fourth-highest valued company in the US market at $602 billion, but JPMorgan has its sights set much higher. Which is saying a lot, since Amazon's 56% surge in 2017 was already the best in the hyper-elite "FANG" group, which also consists of similarly red-hot Netflix, Facebook and Google. 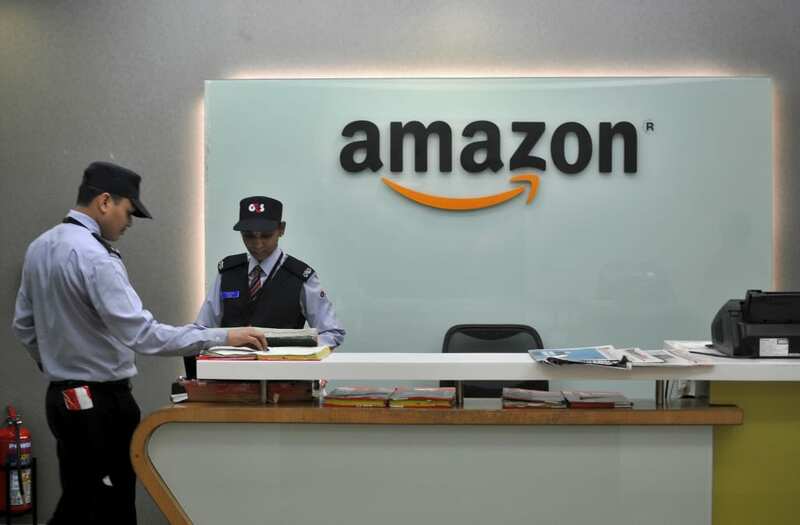 "We believe Amazon has the potential to be a $1 trillion dollar company over time, as it remains early in the e-commerce and cloud secular shifts," JPMorgan analyst Doug Anmuth wrote in a client note. "And in our view, Amazon is investing in more major growth opportunities than any other company we cover." Anmuth has a long-standing overweight rating on Amazon's stock, but just raised his price target on the company to $1,385 per share, up from $1,375. While he's not the most bullish analyst, Anmuth's estimate is still 5.3% above a consensus estimate that factors in forecasts from 42 firms. While shareholders would surely rejoice at an eventual 13-figure valuation for Amazon — which would require a gain of roughly 66% from current levels — no one would benefit more than founder and CEO Jeff Bezos, who was recently crowned the richest person in world history. If the stock achieves the full potential seen by JPMorgan, Bezos would hold an even more unprecedented level of wealth.